Have you ever wondered what is the secret sauce to ensure you get the most out of a professional conference or any conference for that matter? We all know the importance of attending conferences….Right? Pre-conference events, Continuing Education, keeping up with evolving trends in the marketplace, services that are available in your industry, but most importantly the opportunity for NETWORKING. Why is the networking so important? Networking is preparing you for a future opportunity, growth and development. If you don’t feel comfortable with networking, it is past time to overcome that level of discomfort and master the skill of networking. Let me give you a few simple steps you can use to make networking work for you. Look at all the events in your selected business area and do your homework. Ask others in your network what events they go to and get their insight. We can always make money, but never make time. Choose what events you will attend wisely and attend them regularly. You cannot build relationships based on a one shot mentality. 2. Look, Listen and Learn. Be very cognoscente of your surroundings and watch how other professionals handle themselves at each event. Listen carefully as other networkers introduce themselves to you and how they explain what they do and what they are looking to accomplish while they are there. The best and most polished professionals accept the fact that they will never stop learning. A business networking event is a great place to become one with your message and become unconsciously conscience of what you say and do. You have 30 seconds to convey your elevator pitch i.e. who you are, what you do, what makes you different from others and why someone would want to work with you. That message needs to be the same to all. The more you listen and learn from others and the more you repeat your message, the more refined it becomes and the more polished you become. 4. Position yourself as "The Expert" in your given field. People don't care what you know until they know that you care. Caring about your industry will show through by your level of knowledge of your industry and its trends. If you were to refer someone to a professional, you would want to know that they will be in good hands, so would others when they refer to you. As the saying goes, " Out of sight, out of mind." If you are going to look to establish long lasting business relationships, you first need to establish yourself as a networking professional that others would absolutely want to have in their network, showing up is 80% of the success you will have as a professional business networker. In other words, when others see you appear at different business networking events, their acceptance for you grows stronger and you will attract top networkers to you. Strategic alliances, joint ventures, quality recruiting, and referrals are but only a few of what comes from a new business relationship and new business relationships start very nicely at business networking events. Attending the event itself is very important but only the first step. The fortune is in the follow up. Everything depends on everything you do with your new found business relationship after the event. This will turn your new relationship into new business. 7. Look to build on the tools of your trade. Networking events are not only a great way to build upon your business by getting new business, it's also a great way to find professionals that will help you make your business run smoother. Networking events attract sales professionals, attorneys, accountants, marketing professionals, website developers, promoters and many others that can help you along in making things run smoother in your day to day business. Watch for those who supports your profession and ask how they can help you. You never know when you will need an external resource. 8. Building Your Professional Team. In today's business world it is crucial to have the right people on your team. Networking events also attract people that are looking for new opportunities. In today's ever changing job market, many professionals have been displaced through downsizing and are looking for a position that will take full advantage of their talents. You may, very well, find people that can take your business to the next level at a networking event. 9. High Touch Meets High Tech. Going out and meeting people face to face and looking them in the eye while shaking their hand triggers a bunch of emotions that compels others to react to you, that is exactly what networking events do. The next step is where high tech comes in. Once you have triggered those emotions connect with each of those professionals in social media on Linkedin, Facebook, Twitter and other social media outlets. This will give them a chance to keep you in their sights and on the front line of their day to day communication outlets while getting to know you better. And the top 10 reason to the key of networking. Lie in bed at night thinking where you want to be in terms of success in your business profession and what you will do to attain that success. Cheat away some precious time from your schedule to attend business networking events every week. Steal the best introduction lines and questions from the best professional networkers you meet and tweak them to make them your own. Try these tips at a live networking event. If you're in the Norman area come to OKHR 2019 State Conference. Join other Oklahoma, Texas and other professionals in the Mid-West that are ready to connect, at the OKHR Networking event, for an outstanding experience. Whether you are new to networking or a seasoned pro, a OKHR Conference Committee member will greet you, find out exactly what you are wanting to accomplish at our event and point you in the right direction, assuring your night to be a success. Start connecting now with other OKHR Conference attendees at the amazing networking we have prepared for you! See you there and Happy Networking! My name is Rikki Stone, and I have the wonderful opportunity to lead Emerging Professionals for the OKHR State Council. This is my first year serving in this role, and I am very excited to work with all of the local professional and student chapters. I am both a student and a HR professional that has been in the field for almost three years. I am currently the president of the HR student chapter at my university. In my experience, I have realized that there is a disconnect between students, new HR professionals, and the local chapters. My goal is to help bridge that gap. My passion is connecting others with opportunities to grow and develop their network. Whether you are a student chapter looking for resources and information or a local professional chapter looking for ideas to implement an Emerging Professionals (EP) program, I am here to help. As you may know, there are wonderful OKHR events coming up to engage EPs across the state. There will be one in May in Norman and one in September in Tulsa. I will make sure the information is sent out to all chapters. SHRM has a Young Professionals Advisory Council that would be great to connect with for brainstorming ideas or getting feedback on a program, project, or event. SHRM also has a Student Volunteer Leader Center with information regarding student chapter management and awards. From the SHRM website, navigate to Learning & Career > Certification > SHRM Certification FAQs for general certification questions or click All Things SHRM Certification to go directly to the SHRM Certification Portal. In addition, if you are a chapter certification leader or volunteer, you can find resources and certification promotional materials in the Volunteer Leader Resource Center - VLRC Tools & Resources. You can build specialized knowledge and expand your influence by earning a SHRM Specialty Credential. These credentials allow HR professionals to demonstrate targeted competence in several key areas while enhancing credibility among peers and employers. Earning SHRM Specialty Credentials is an investment in your continued career development and can be accomplished by engaging in content-specific, competency-based education and achieving a successful score on an online assessment. 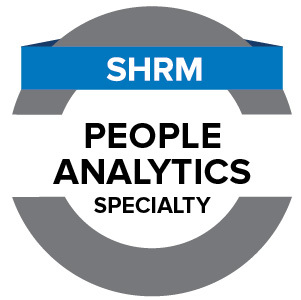 Specialty Credentials are an approved professional development activity for recertification credits towards your SHRM-CP® or SHRM-SCP® certification. An FAQ about these exciting new credentials can be found HERE. Coming soon – HR Department of One and US Employment Immigration Specialty Credentials. What Else Do You Want? Free Money? 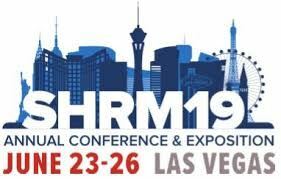 Don’t forget about SHRM Certification Scholarships - $750 for SHRM Certification exam and preparation. Minimum of 220 Scholarships are awarded each year – dozens of Oklahoma HR pros have earned certification scholarships – including yours truly. J Individuals can find scholarship application deadlines and eligibility information on the SHRM website. Chapters can also earn a certification scholarship to assist with sponsoring a study group – check out the details HERE. 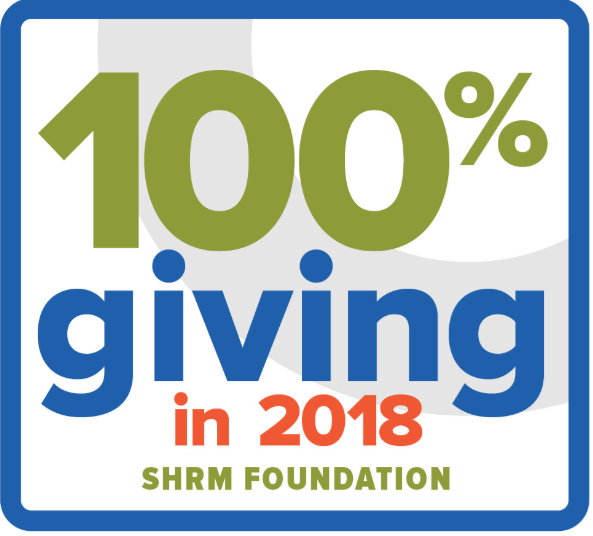 More Free Money…..Pay attention Oklahoma Chapter HR leaders - Chapters in good standing will receive $20 per each chapter member who is a SHRM member in good standing, primarily coded to the chapter, and recertifies for SHRM Certification during 2019. Spread the word about SHRM Certification to your members and check out the VLRC. You will find certification promotional materials and study group toolkits. Remind your membership that SHRM hosts quarterly live “Ask a Counselor” chats to answer certification and recertification questions. If you are just starting your SHRM Certification Journey, we are here to help; answer your questions, help you prepare, ease your anxiety, and support you all the way. 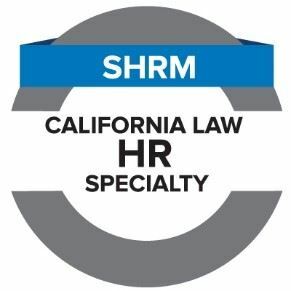 My contact information can be found below and on the OKHR website or check your local SHRM chapter for resources on certification. Let me know if you have certification or recertification questions and/or how I can assist you with your Certification Journey to Greatness! Hope to see everyone at the Certification Lounge at the Oklahoma State Conference & Expo, May 8th – 10th at the Embassy Suites in Norman. Register Now!